In the 1930s and 1940s, Toots Shor’s restaurant was the place to be in New York City. 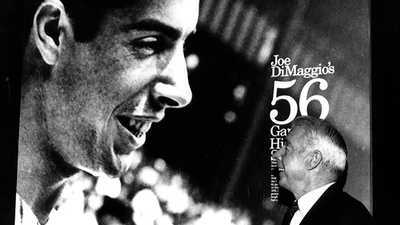 It was also DiMaggio’s home away from his hotel room and a place where the day’s famous athletes, ambitious politicians, or Broadway stars would go to brush their fame against another’s. The restaurant was one of the first to not bother with music; the stars and star watchers were there to entertain each other. Crooner Frank Sinatra frequented Shor’s, as did comedian Jackie Gleason, who always ate there for free (Shor was known for his give-aways). In one of the many stories that are part of the restaurant’s folklore, Yankee Yogi Berra is said to have met Ernest Hemingway there one night. Hemingway was introduced as "an important writer." Berra, true to form, is said to have replied: "What paper you with, Ernie?" While it was called a restaurant, Shor’s could be considered a men’s club. The liquor was hard and the food was mediocre. Patrons would often stop by for a drink before eating elsewhere. The place allowed women, but they weren’t welcome. Wives were referred to as "the Missus," and if she was brought too often, the husband also became a persona non grata. Eileen Henrich, the wife of Tommy Henrich, a player who batted in front of DiMaggio in the Yankees line-up, once complained to her husband about standard procedure at Toots Shor’s. "You know I hate going there, Tommy," she said to her husband. "That maitre d’ looks at you if you’re a woman and looks right through you. Can’t we please go to Sardi’s? They treat me as well as they treat you there." The center of Toots Shor’s was the man himself, who was big, boisterous, and legendary. He was both charming and cantankerous, and liked to brag about keeping Charlie Chaplin waiting for a table. Chaplin complained, and, as Shor tells it, he told the comedian, "Let’s see you be funny for the people [in line] for the next twenty minutes." In New York in the Twenties, Thirties and Forties, baseball was king, fueled by the three teams in New York: the Yankees, the Dodgers and the Giants. 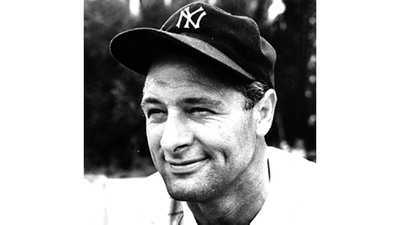 Toots courted baseball executives, baseball writers and most of all, baseball players. But after 1936, he catered to the best player on the best team in New York: Joe DiMaggio, of the Yankees. "We hit it right off," said Shor of his first meeting with DiMaggio. "Joe was just a great guy, very humble, very shy, but he was very wonderful to my family." When DiMaggio was at the restaurant everyone would look at him, Shor said, but no one would bother him. In our joint, if a guy wants to give autographs, fine, but if he doesn’t, we don’t let the customers bother him." After a good game, DiMaggio would come in and eat and entertain questions from sports writers. After a bad game, DiMaggio would drive by the restaurant and send in word via the doorman to go get Toots. The two would walk up and down Fifth Avenue. "No talking, not a word said about the game or my family or anything," Shor remembered. "He just felt like going for a walk." 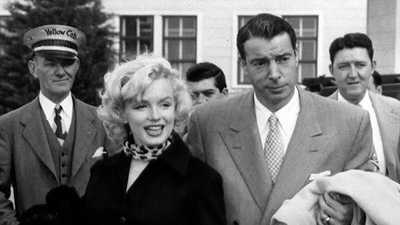 DiMaggio and Shor were friends until the day Shor brought up Marilyn Monroe to DiMaggio (an off-limit topic with the Yankee Clipper) and apparently insulted her. 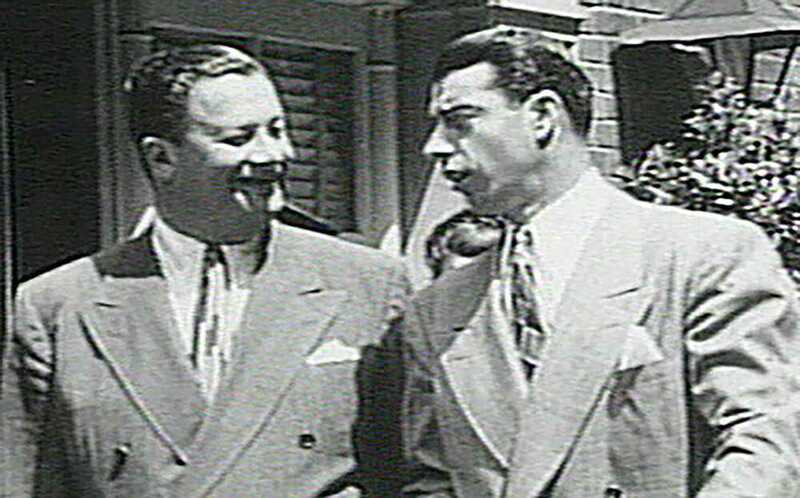 As DiMaggio would do with many other friends in his life, he cut him off. The friendship was over. As New York City and its sports center changed, Shor’s restaurant declined. In DiMaggio’s era, writers could file their stories after day games and join the ballplayers afterwards for an early drink or even a meal. But with the advent of night games, writers did not finish their stories until the wee hours of the night -- often too late to socialize. Eventually, the Dodgers and Giants would leave New York, and baseball would give way to football and basketball as the city’s sport of the day. The decline of Toots Shor’s restaurant was accelerated by Shor’s poor financial management: Shor neglected to pay taxes. He died penniless in 1977. While someone with a bigger ego might have been jealous of the unwavering attention that DiMaggio received in 1936, Gehrig welcomed him. Marilyn said to Joe, "I’m sorry I don’t know anything about baseball." DiMaggio replied, "That’s all right. I don’t know much about movies." All during the spring of 1951, DiMaggio dropped hints that his upcoming season would be his last.